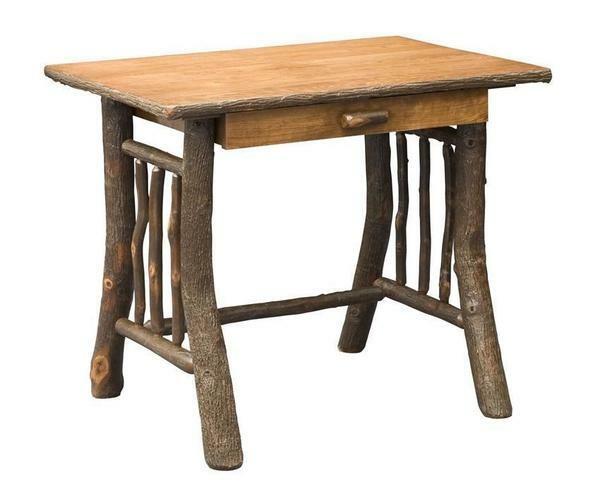 The beauty of this rustic writing desk is sure to inspire the creative in your. This is the perfect desk for writers or people that need creativity in their lives and work. Please call one of our Amish furniture specialists with questions, to receive finish samples or to place your order over the phone for this rustic desk. Shown in Cherry Wood and Hickory Saplings with Old World Mission Finish. Chair Not Included in Price.